One of the most popular updates made to last year’s INFINITI Q70 & INFINITI Q70L lineup is the Essential Package because of the 7 amazing upgrades you can get. But for the 2019 edition, they are no longer extras since they now come standard! 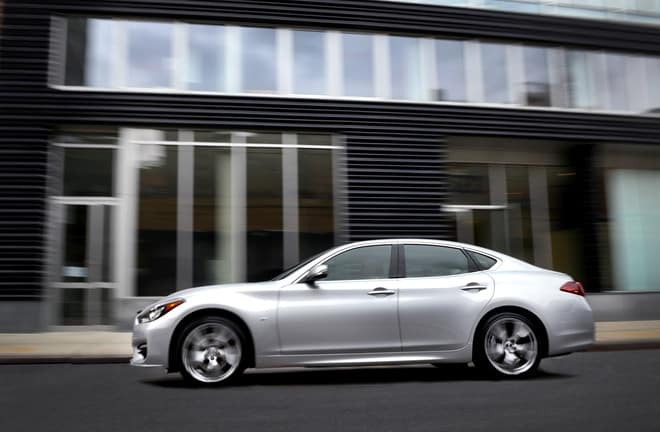 This means you get even more luxury than you’d expect when choosing the 2019 INFINITI Q70 or 2019 INFINITI Q70L at our dealership serving Rockland County NY. With that being said, let’s take a look at what you can now get in this luxury sedan. The first thing you’ll take note of inside is the leather. The seating is not only now appointed in smooth leather, but the front seats are now climate controlled. That means you can now feel cool air during the hot days we’re experiencing in the summertime, as well as heating when the colder weather rolls around to North New Jersey. 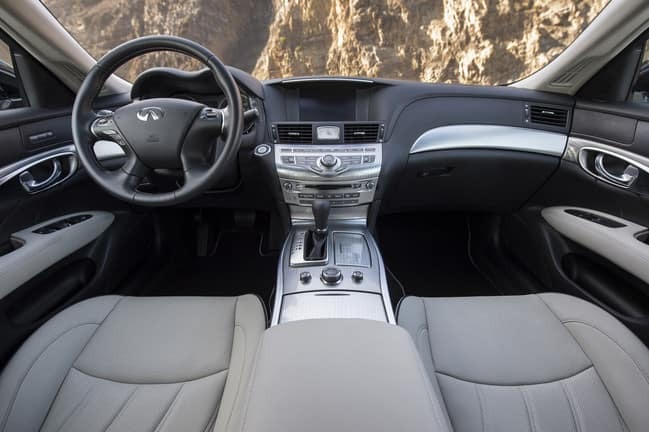 The 2019 INFINITI Q70 & Q70L now also come with a heated leather-wrapped steering wheel. This also comes in handy in the winter by keeping your hands warm on any drive. You can also opt to turn off the heating capability and still feel the smooth leather in your hands and have easy access to the cruise and audio controls. Every 2019 INFINITI Q70 & 2019 INFINITI Q70L at our Bergen County NJ dealership location now comes with a Bose premium audio system. This stereo plays your favorite songs crystal clearly with 10 speakers from sources like Bluetooth streaming audio, a CD from your collection, SiriusXM satellite radio, AM/FM radio or one of your devices plugged into the USB port. INFINITI InTouch Navigation now comes equipped in the Q70 and Q70L as well to ensure that you’ll never get lost again thanks to updated maps giving turn-by-turn directions to your favorite destinations. Included with this are InTouch Services including the ability to ask Amazon Alexa a question, vehicle health reports, remote door lock & unlock and more. So many safety features come equipped in the 2019 Q70 & Q70L because INFINITI knows that your safety is a luxury that should come standard. For the latest version of this sedan, a front & rear sonar system comes equipped to alert you when an obstacle, person or animal is too close to your vehicle. Also onboard to help you park your car without dinging into anything or anyone is the INFINITI Around View Monitor that gives you a 360-degree view of what’s surrounding your Q70 or Q70L. Paired with this technology is Moving Object Detection that can tell you when something goes into your vehicle’s path even before you see it. 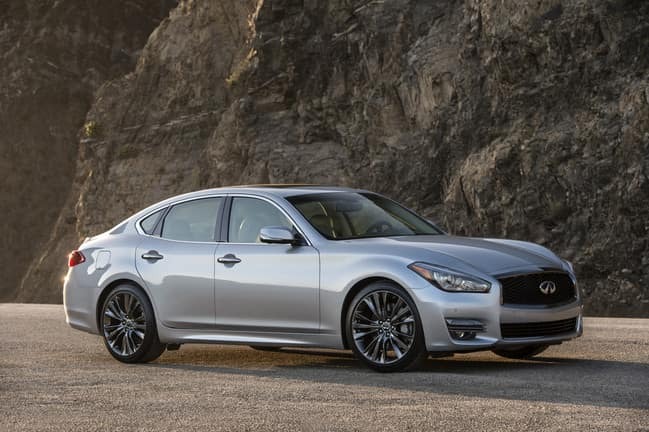 Ramsey INFINITI will help you find the right 2019 INFINITI Q70 or 2019 INFINITI Q70L to fit your driving needs. Contact our team to learn more about the key differences of these models and to schedule your test drive!